Welcome to the official site of the "Saint-Aube" ! Members of "Saint-Aube" get together to Croquis assemblies for two times a month and make each effort to brush up drawings by each painting material and method. "Saint-Aube" holds its exposition once a year at "Fujiya Gallery" in Ginza, Tokyo and members are well motivated to present their works to this opportunity. Mr. Saburo NAKAYAMA, ex-Director of "NIKA", is used to be a center of the "Saint-Aube". Members are widely spreaded from twenties to late seventies, professional singer to famous architect, garelley owner to glass craftsman, illustrator to designer, professor to salaried man and pensioners. 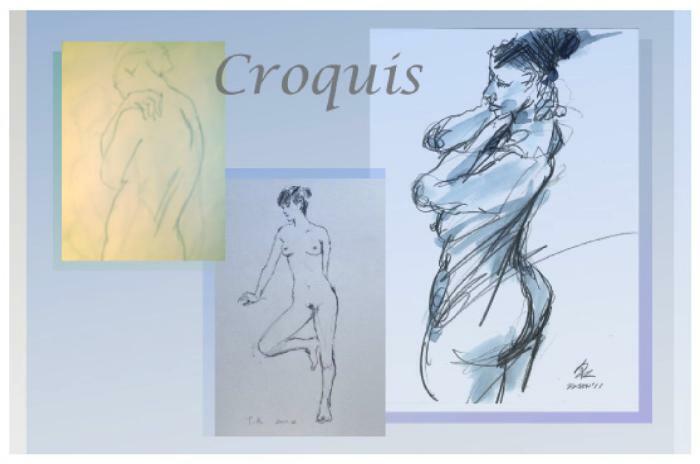 All may enjoy chat and drinking after each croquis assembly and going to "sketch tour" once a year. We all welcome your participation to the "Saint-Aube". All Rights reserved by Saint-Aube Association.